This Certified Mercedes-AMG C43 Coupe looks absolutely stunning in Obsidian Black on Black Leather. Powered by a bi-turbo V6 engine and sending power to all four wheels, this vehicle will send you from 0-100km/h in under five seconds. With its head turning coupe silhouette, bold AMG styling and diamond grille, youll be both noticed and heard. Standard features include AMG ride control sports suspension, LED Intelligent Light System, panoramic glass sunroof, head-up display, Burmester surround sound system, navigation with voice activation, and so much more. 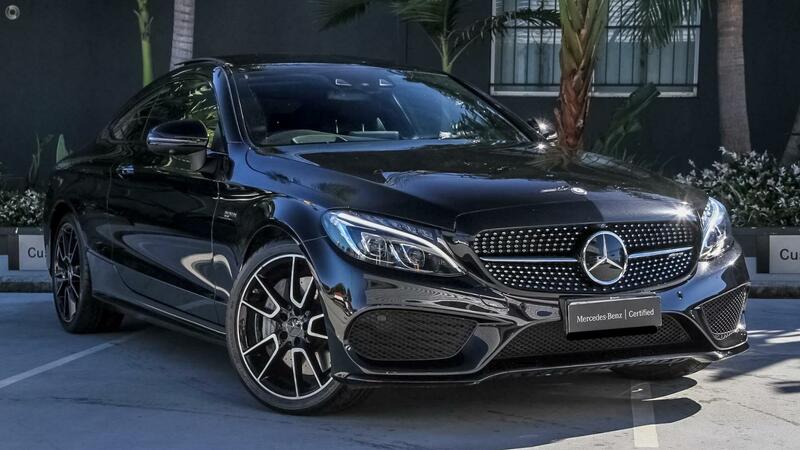 Brimming with the latest in safety technology and drivers assist features, this Certified AMG C43 Coupe appeals to both head and heart. To ensure you are covered by a comprehensive after sales experience we offer a factory backed 2 Year Mercedes-Benz Certified Warranty with Roadside Assistance, in addition to the balance of your new vehicle warranty.